Industry-wide disruptions are quietly underway, riding atop the rising tide of blockchain technology. Here is a quick summary of blockchain followed by three key implications for business leaders and strategists and five less-well-known signals of disruptions coming to an industry near you. Many descriptions of blockchain are overly complex, technical, or incomplete. The following concepts clarify how the overall blockchain ecosystem and business model functions. Blockchains are distributed digital ledgers built with open source computer code that is distributed across thousands of computers. Changes to the ledger are encoded in transactions, aggregated into a “block”, and appended to the existing blockchain. Blockchain entrepreneurs create software applications using data in blockchains. Software applications and blocks are distributed across a network of individually owned computers that are not typically owned by the platform. Individuals download a software application that provides their computers’ unused resources (computing power and storage) to the platform. Cryptocurrencies are akin to tradeable equity in a platform. People are incentivized to rent resources to applications because it is profitable today — people typically sell most of the cryptocurrency they earn to cover electricity costs. Some people retain more or less of their cryptocurrency based on their perception of its future value. A recent study of about 300 executives in companies with more than $500M in revenue found that most investment is happening outside of financial services, and a World Economic Forum study indicated that 10% of the Global GDP will be stored in blockchain technology by 2027. That amounts to nearly $175 billion. Relevant industries that blockchain has impacted will share common threads exemplified in this article: Fidelity (of data, food, drugs, products), chain-of-custody (of supply chains, educational transcripts), and myriad collaboration among parties. How will we accurately assess risks and opportunities that blockchain creates? Who is our blockchain expert(s)? What areas of our business are at risk from the effects of blockchain? Aspects of your business that involve third-party, trust-based services should be prioritized for deeper investigation. Pay close attention to your suppliers and customers. How could blockchain decrease your opportunity to create value between them? If your business is software, think carefully about this issue. What adjacent markets could be annexed more easily with blockchain? Use Porter’s five forces as a helpful tool for teams evaluating this question. Over the past decade, supply chain as a discipline has shifted closer to procurement in some companies, which has also deemphasized the strategic importance of these supply-chain skills and know-how. As blockchain becomes more relevant, two things are likely to happen: In the near term, people with supply chain expertise will become more important, and over the longer term, supply chain executives will hybridize their skills by mixing them with information technology. Those responsible for supply chains should take stock of relevant talent: The importance of these people and the assets they deploy are likely to grow and change in the medium-term. Sensors – technologies that convert physical attributes into logical (read: digital) ones – are as important as blockchain. Without sensors, blockchain will be relegated to non-physical realms. Companies with sensor expertise will be winners. 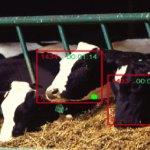 In January 2018, Cargill announced an investment into Cainthus, a Dublin-based machine-vision company that employs facial recognition technology to help animal producers make decisions. Although the announcement did not mention blockchain, I see this as a subtle indication of what is to come in food and agriculture: Technologies like facial recognition will enable digitized records that can track food assets from farm-to-table using blockchain. One can imagine how deeper tracking of animal origin, feeding history, or health statistics might be interesting to consumers. Consumers may have to or want to pay up for reliably tracked food brought from farm-to-table with the help of blockchains. 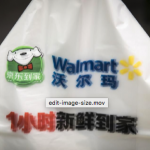 IBM, Walmart, and Nasdaq-listed Chinese retailer JD.com have recently launched a blockchain enabled Food Safety Alliance in China. A pilot program demonstrated blockchain could track mangoes, for example, from farm-to-table in two seconds. Normal methods take weeks. In the U.S., the Grass Roots Farmers’ Cooperative signed a partnership agreement in mid-2017 to integrate blockchain technology to monitor the origin of meat products. The technology will allow customers to track the movements of the products from farm to table. To learn more, take a look at their statement. Between summer 2017 and early 2018, major pharmaceutical companies including Pfizer, Merck, Roche, and GlaxoSmithKline announced intentions to leverage blockchain. Individual specifics vary, but experts generally agree about two primary pharma use cases for blockchain: Reducing counterfeits (e.g., monitoring controlled substances and active ingredients) and optimizing supply chains (e.g., monitoring cold supply chains and maintaining compliance with the Drug Quality and Security Act). As government price pressures mount, blockchain could prove to be a valuable tool for increasing revenue (through reduced counterfeiting) and decreasing costs (through supply chain optimizations). Anyone who has requested a transcript or testing record knows how cumbersome that process can be for all parties involved, and Sony is one of the first big names that has taken a step toward addressing this inefficiency with blockchain. Blockchain-based systems that increase access and improve data fidelity have wide reaching implications. In particular, downstream activities related to hiring and employment verification could be ripe for disruption. Furthermore, companies, such as Microsoft’s LinkedIn, that rely on user generated content about job and academic histories could be particularly susceptible to blockchain driven disruptions upstream or from direct or emerging competitors. Information technology holds many opportunities for blockchainization, and distributed cloud computing is clear case. Large companies, such as AWS, Microsoft, and Google, have centralized massive computing power that they rent to users on demand. Blockchain enables upstart platforms like Golem to harness unused computing power of users to solve complex problems: Golems’ first target is Computer Graphics Image rendering. Substantial opportunities and challenges confront blockchain entrepreneurs tackling distributed cloud computing: on the one hand, a distributed compute system holds promise of reduced cost, increased scalability, improved security, and greater speed as resources move closer to the edge. On the other hand, some experts cite the same opportunities as challenges: issues with latency and data integrity are real as new platforms mature. Cisco believes that there will be 50 billion internet connected devices by 2020. As available resources grow exponentially, so too will interest from smart engineers seeking to solve big problems with blockchain. It is a matter of when, not if, these problems will be solved with blockchain. I believe it will be as transformative as the Internet and the mobile phone. Who will be the winners and losers in this technological evolution? Matt Polak is a partner with BroadBranch Advisors, a Washington, DC-based growth strategy firm. Special thanks to John Hedden, Griffin Jones, Andrew Baine, Zach Brown, Bailee Ahern, and John Hambleton for their comments on the article.